Twenty years ago the dental industry was a very different place. Dentists were the only people to own dental practices, there were no corporates, HICAPs had not yet been invented and Health Funds had no influence in dentistry. This can seem like an- other world. Nowadays there is much more to think about when opening and operating a dental practice. One such thing to consider is whether or not to join a buying group. Buying groups are common place in most industries and they continue to be a valuable scheme in dentistry in the face of the rise of corporate and health fund driven dentistry of today. There is the old saying that ‘there is power in numbers’. And this is largely how buying groups function; by using the combined purchasing power of its members to achieve greater outcomes. Buying groups can provide two distinct benefits; one financial and the other non-financial. Financial benefits are easier to see as they cut straight to the bottom line, while the non-financial is harder to qualify but still provides real value. These groups can assist in making sure you are not paying too much for products, while the group buying power is used to nego- tiate a better price advantage so that smaller businesses can receive similar savings to that of larger companies. By joining a buying group you can garner more agency in your chosen career and industry. Individually it can be tough to take on supply companies and get the outcomes you may want. But by being a part of a buying group, it means there are more people and ultimately more leverage that can be used to advocate on behalf of your interests. These groups also stay on top of what is happening in and to the industry, and can empower its members to adapt and thrive in the changing environment or market. Dental practice ownership can feel like a lonely endeavour and you may feel a sense of isolation in your practice, whether that is figuratively or geographically. And dental supply companies capitalise on this isolation, setting prices with little or no opportunity for dentists to negotiate or receive discounts. By joining a buying group you are uniting with like-minded people under the one umbrella, many who have similar goals or values to you. 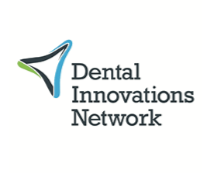 You can also facilitate meaningful conversations with your fellow dentists, further promoting greater transparency within the industry on prices from supply companies, while also encouraging more opportunities for general networking with your peers. When deciding if a buying group is the right fit for you and your dental practice, consider the value - both financially and non- financially - that you can get from it.